I just arrived back from US, where I spent 3 weeks learning engraving, visiting Blade Show and Engrave-In. Time well spent. Met a lot of new people, learned bunch of new stuff and got lots of inspiration to move on with my engraving. I was learning more advanced engraving techniques from Scott Pilkington. We covered metal inlays, both wire and sheet and sculpting. 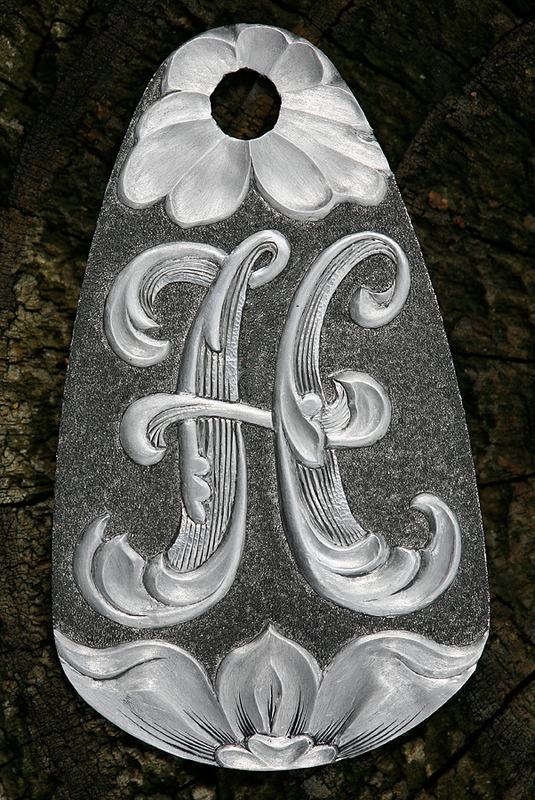 My final job was a sculpted keyfob with letter “H” on it. This piece took me about 4 days to complete. Its height is about 5cm. The other side is still not finished, but it has a little pink gold inlay on it. When I finish it, you’ll see it too. The annual Engrave-In is held at Scott’s place and it is basically an engravers get together. This year we had about 100 people present, even from Japan. We had presentations from Amayak Stepanyan, Ron Landis, Roger Bleile, Ray Cover, Scott Pilkington and a round table discussion with same guys plus Simon Lytton. Google for these people, you will see magnificent engravings. Steve Lindsay was also present there and I got to play a little with his prototype engraving vises. Man, these are smooth and sweet. Unfortunately can’t afford it by any means. The day after Engrave-In Amayak showed me his sculpting technique and then it was time to go home again. I really hope I can go back next year.